Join us as we host a first-of-its-kind event, The Next Frontier of Entrepreneurship. 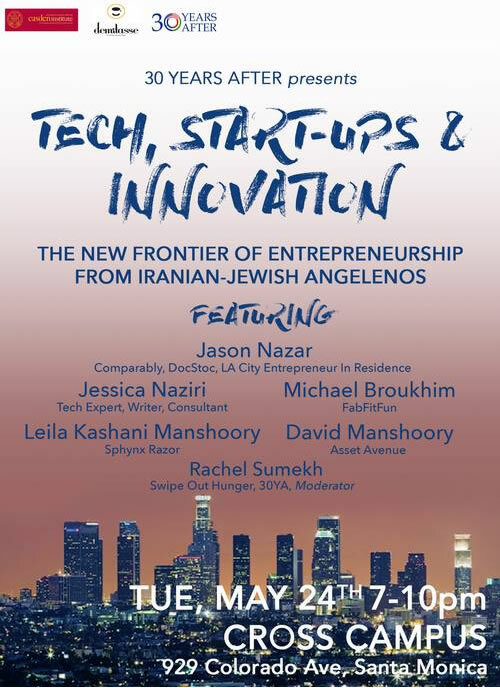 Come hear the journeys, best practices from a new wave Iranian-American Jewish entrepreneurs and innovators. 929 Colorado Ave, Santa Monica, California 90401 .